Wingspan 20 to 23 mm. 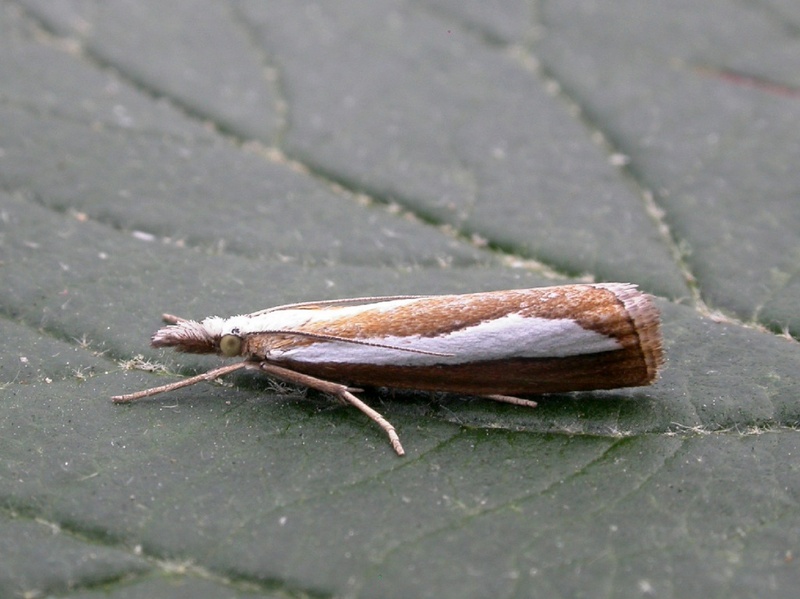 The broad, unbroken white longitudinal mark on this species is quite distinctive. It occurs in boggy and heathland habitats. At present the earlier stages of development are not well described. However, it has been reared from ova obtained from a captive female and in captivity the larvae initially ate the moss Campylopus flexuosus but in their later instars ate the basal parts of leaves of Cottongrass. Found in suitable scattered localities throughout Britain, where it is locally common. In the Butterfly Conservation's Microlepidoptera Report 2011 this species was classified as local.